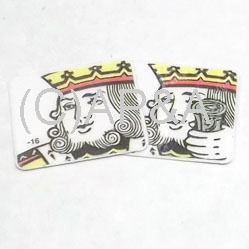 2-piece decal set for spinning target used on Stern High Roller Casino. Includes 1 decal for front of spinner, and 1 for back of spinner. Restore the worn-out look of your old spinner. Easy to install- just peel and stick!